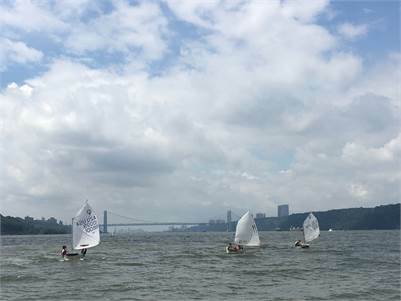 You are here: Home / Featured News / Riverdale Yacht Club in New York City is Hiring! Riverdale Yacht Club in New York City is Hiring! 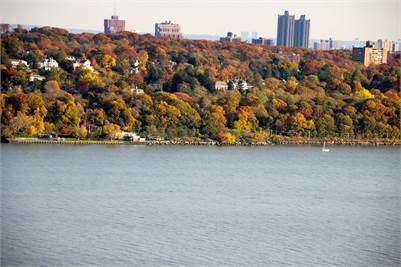 The Riverdale Yacht Club, is located 20 minutes from midtown Manhattan, on the Hudson River, in the Bronx. We are looking for experienced US Sailing Level 1 certified instructor for our Junior Sailing Program. Courses will be held from June 15th to July 27th, Tuesday through Saturday, 9am-3pm. We offer competitive compensation, and will provide housing. We look forward to hearing from qualified candidates who will make a major contribution to our Sailing Program. +Sailing instructor must be able to teach safety, boat handling, sailing theory, and respect for currents, tides, and commercial vessels, to students in Optis, Laser, 420’s and/or 29ers who are beginner and intermediate sailors. +Develop lesson plans for classroom, hands-on rigging, on-the-water sailing exercises, and fun on-shore activities. +Teach basic racing theory and techniques as the junior sailors develop their boat handling skills. +Organize a mini-regatta for the students toward the end of the program, with emphasis on completing the course safely. +Instructor candidate must demonstrate strong leadership qualities, and encourage mutual respect.